Chetsna was 8 months pregnant when she asked me to shoot pictures of her Godh Bharai ceremony. 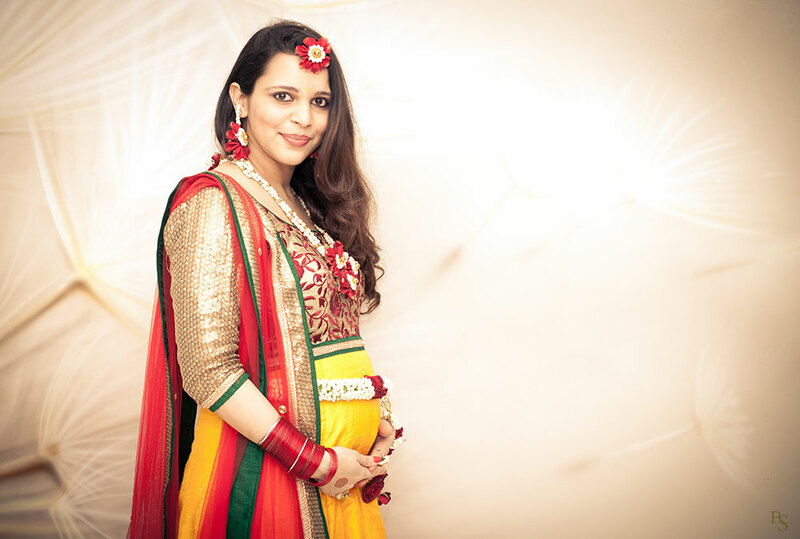 Her function was a mix of both hindu traditions and western baby shower fun with games and cake! What I remember most was the pretty little cupcakes as return favours, beautifully wrapped.